PROACTIN stands for PROACTIVE Acquis Communautaire Training Initiative. The project consists of training activities through the provision of technical assistance to improve specific skills of postal operators in Bulgaria, Romania, Croatia and Turkey which are the beneficiary countries. It intends to help them comply with the internal market acquis and to strengthen the awareness of the stakeholders and of their business relations (SMEs) on the postal acquis. PRO-ACTIN is supported by the European Commission under its BSP2 Business Support Programme, a part of the PHARE initiative, and is coordinated by PostEurop. 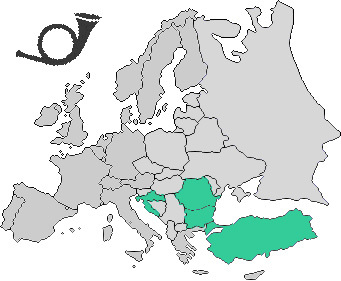 The PROACTIN Project is conceived to facilitate Beneficiary Countries Postal Operators in strengthening awareness, transfer of experiences learned and technical competences at the same time as guarantying quality of services and related technical standards at EU level in order to achieve an internal market for postal services for the benefits of the business communities and civil society. The PROACTIN project set out to provide the 4 beneficiary countries in depth knowledge, insights and training on the European Postal Market. The 2 Year project covered a broad array of topics from the functioning of the European Institutions and its regulation process to the far-ready impact of regulation or operations, labour relations, customers and the provision of quality Postal Services. The dissemination process also allowed the project to accomplish in excellent manner and produced concrete results.